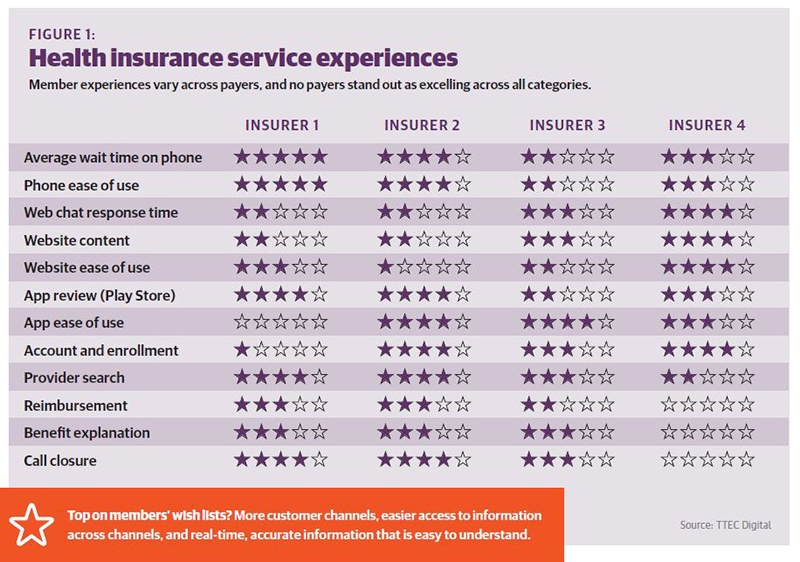 Research from TTEC Digital illuminates the state of member experience among health insurers. 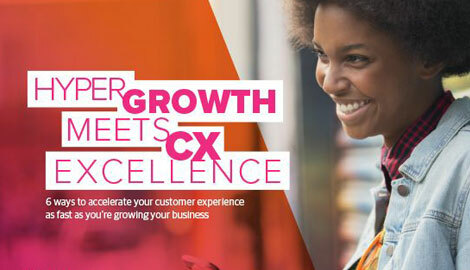 The results are not surprising—while there are pockets of CX excellence within some channels, there are plenty of opportunities for further integration and service enhancements (see Figure 1). Self-service containment. Today, most members start their interactions with self-service. Yet too many can’t resolve their issues themselves, driving members to call, which increases costs. Members across companies complain of long IVR menus and too much time to answer social media posts. Even website FAQs are complex and hard to find. The support experience is taxing. Extra member effort is required to connect across channels, and if they do engage via online channels, they get funneled to traditional channels that are disconnected from social media. Associates trying to help members often find themselves at dead ends or with unhelpful resources. These disconnected channels waste time and frustrate members and employees alike. Cross-channel experience is inconsistent. Too often, multiple transfers are required to find the right information. The email channel is not proactively managed, with long wait times for answers. And a growing concern is that there is inconsistent information on health insurance exchanges and insurer websites. As more players like Amazon and Google enter the healthcare space, this inconsistency will only worsen. Poor associate productivity/engagement. Knowledgebases are siloed and articles hard to find. There is limited knowledge governance, so articles are often outdated or incorrect. What’s more, the associate desktop has multiple tabs and requires toggling back and forth.